By Ariane Le Chevallier June 14, 2017 Portland, Ore. Currently emergency health care professionals must call the statewide POLST registry to access forms that were not filed within their health system. 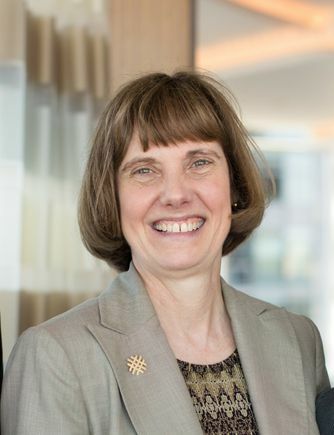 For example, OHSU clinicians could easily view the 15,000 POLST forms in the OHSU record system, but could not view forms completed elsewhere. Now OHSU can quickly find any form the patient has of the 160,000 forms in the statewide POLST registry with the click of a button, and without leaving the patient’s record. 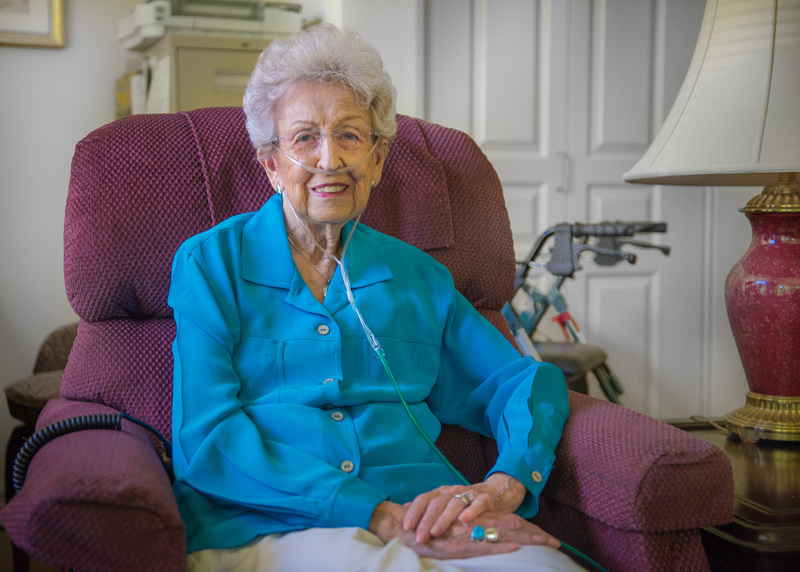 Oregonians like 95-year-old Betty Lou Hutchens see this development as an important step in making sure their end-of-life care wishes are honored. In 2015, OHSU partnered with San Francisco-based tech start-up Vynca to automate the process for filling out and finding POLST forms by creating an online system for submitting forms and digitizing paper forms. 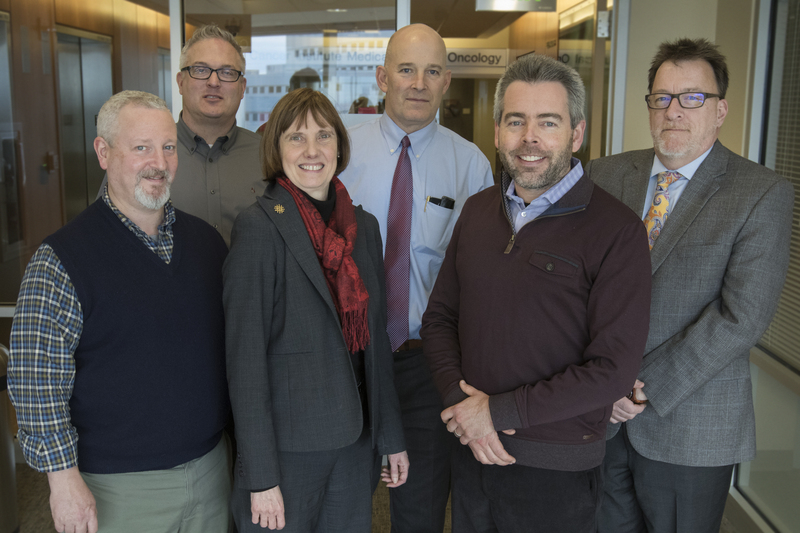 Vynca, the technology vendor used by OHSU has also worked with Samaritan Health Services to digitize their POLST system and they will be launching statewide access to the registry that OHSU just launched in the coming months. 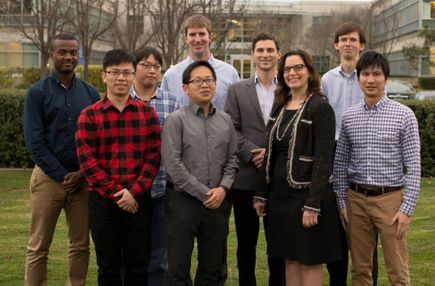 “Our mission is to ensure that every patient receives the care they want at the end of life, and this technology represents a considerable advancement toward achieving this goal,” says Ryan Van Wert, M.D., chief medical officer of Vynca and part-time clinical assistant professor of medicine in pulmonary and critical care medicine at Stanford University. The POLST form was created in 1990 by a group of ethics leaders convened by OHSU in an effort to ensure the wishes of those with advanced illness or frailty are followed. 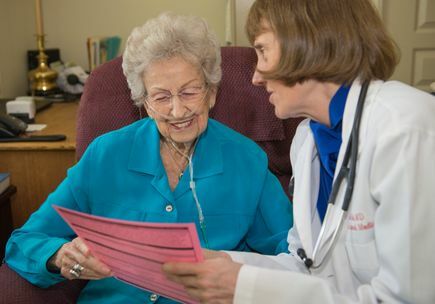 POLST programs have been adopted or are in development in 47 states and they are strongly associated with reducing unwanted hospitalizations near the end of life. A survey of patients showed that less than 10 percent of patients want to die in the hospital. Unfortunately, without POLST form, four times that many still do. 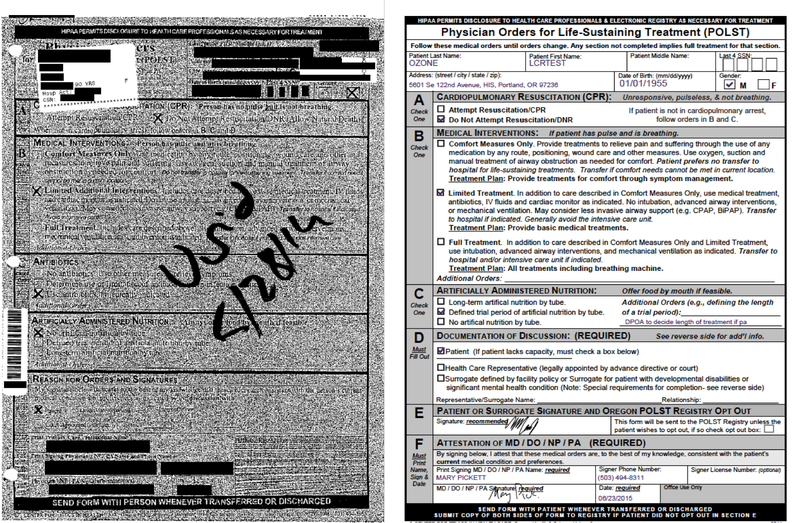 Paper versions of the POLST form (left) could be difficult to read. 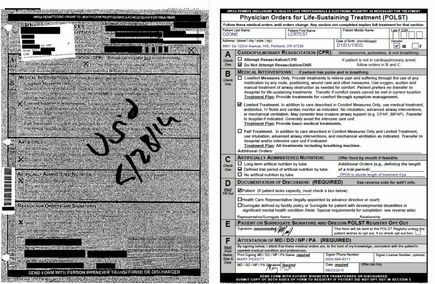 The electronic version (right) ensures that information is clearly visible and the records can be searched easily. Biography of Susan Tolle, M.D.